A couple Saturdays ago it rained. It rained hard. Maybe not anything like folks in the Finger Lakes are dealing with this week, but it rained a lot. Roads flooded. I’m sure that more than a few of the 250 or so people who gathered at Wölffer Estate to celebrate the winery’s 30th anniversary expected that the event would be moved inside. Or at least under a tent. But no. The Wölffer team held out and we were all rewarded with what was nothing short of a perfect evening. We were outside the entire evening, in grass that should have been soggy, grown in soil that should have been soggy like a wet sponge. But again, no. No one’s heels sank into the ground. My bright-blue shoes survived the evening unmuddied. 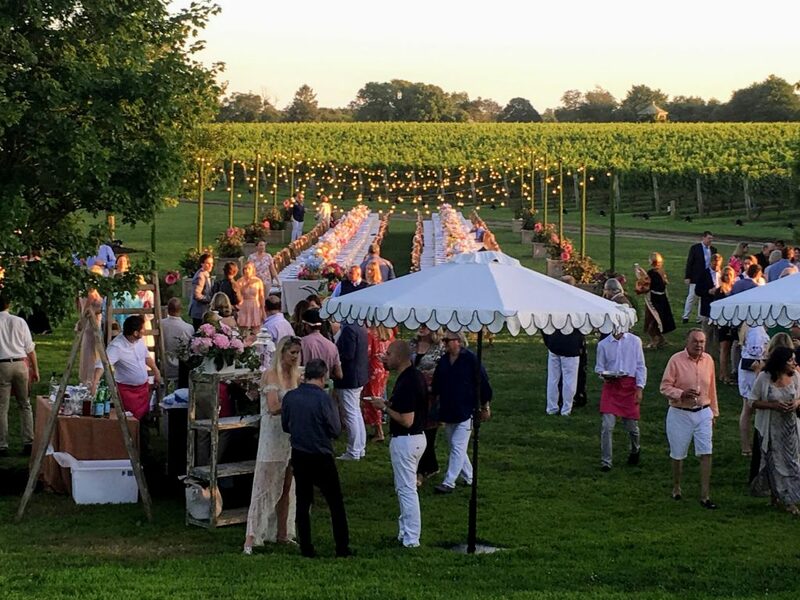 It seems that the same well-drained soils that are so wonderful for growing grapes here on the East End are pretty conducive to outdoor soirées as well. We enjoyed great food, of course. The event was catered by Stone Creek Inn chef Christian Mir and I’ll frankly never understand how any chef and team can serve 250 people perfectly cooked duck breast. It was a marvel. So was the grilled peach salad. And the baby potatoes. And the succotash-stuffed globe squash. Every bite deftly seasoned and served at the perfect temperature. Of course, there were great libations all night, too. My wife and I focused mostly on the sparkling rosé — 2014 Noblesse Oblige, served only from double-sized magnum bottles. 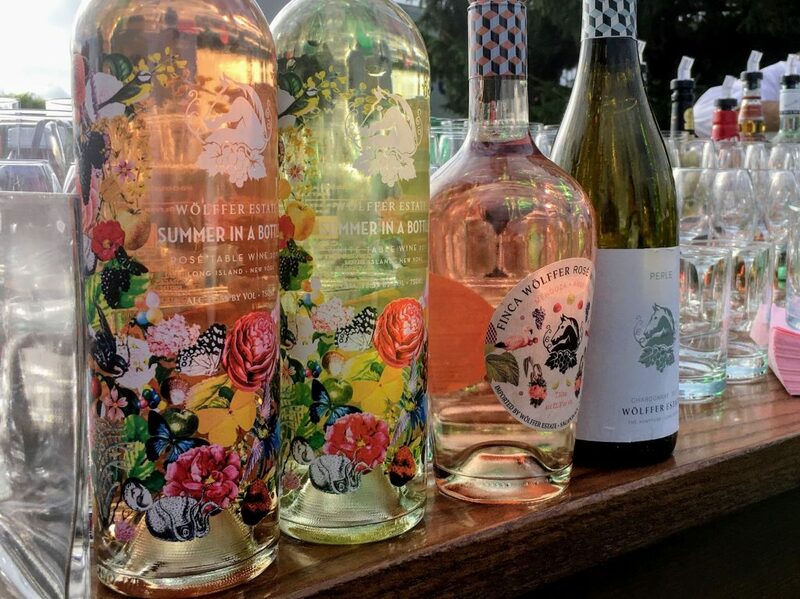 But there were also cocktails made with the winery’s ciders and rosé gin. I enjoyed a lavender-lemon gin fizz to start the evening. I also have to mention just how well the 2015 Caya Cabernet Franc was drinking, particularly with that expertly prepared duck. I could write 1,500 words just about the setting (which was perfect), the flowers and table settings (which were the most beautiful I’ve ever seen) or all the great things we ate and drank. But none of those things were the real story of the evening. Her father, Christian Wölffer, founded Wölffer Estate 30 years ago because — despite his success as an international businessman — he wanted to be a farmer. And he didn’t want to grow potatoes. 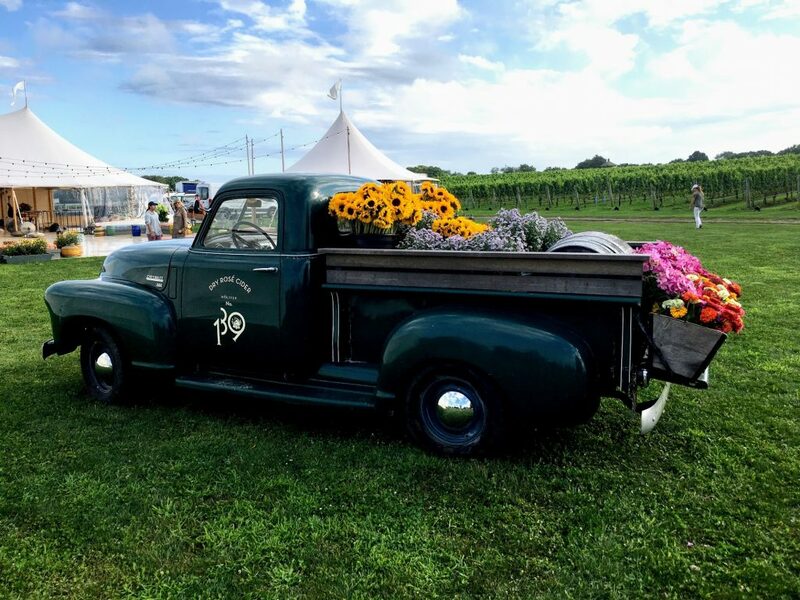 Most of the best vineyard land on Long Island is on the North Fork, but that didn’t stop Wölffer. “He planted his vineyard against all the recommendations,” said winemaker and partner Roman Roth, who is the only winemaker the estate has known and is someone co-owner Marc Wölffer called “the soul of Wölffer Estate” during his emotional welcome speech. Along with the land and Christian Wölffer’s vision, the focus was put on the entire team that has gotten Wölffer Estate to where it is today and will push it forward into the future. All three speakers mentioned the team. Roth, who regaled the assembled friends and family with a Wölffer-themed rendition of “You’ve Got a Friend in Me” while playing the ukulele (no Wölffer event is truly complete without Roman singing), also spoke of a humid August night all those years ago when the decision was made to make dry rosé — many years before it became popular in this country. He, too, focused on the land and the Wölffer team, lauding the Bridgehampton loam soils and mentioning many of the Wölffer staff by name before saying, “I’m here to remind you of the blood and the sweat [that have gone into this]. This is a bit of a weird time in Long Island’s wine history. 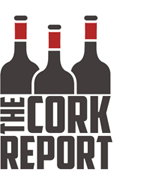 Some of the original wineries are being sold and local governments are putting pressure on certain aspects of the wine industry. It can make it difficult to appreciate all of the wonderful things that are still going on — and will go on. Marc and Joey Wölffer honor their father’s legacy with everything they’ve done with his winery and what they will do in the future. And that future is bright. And at Wölffer, it’s probably rose-colored.